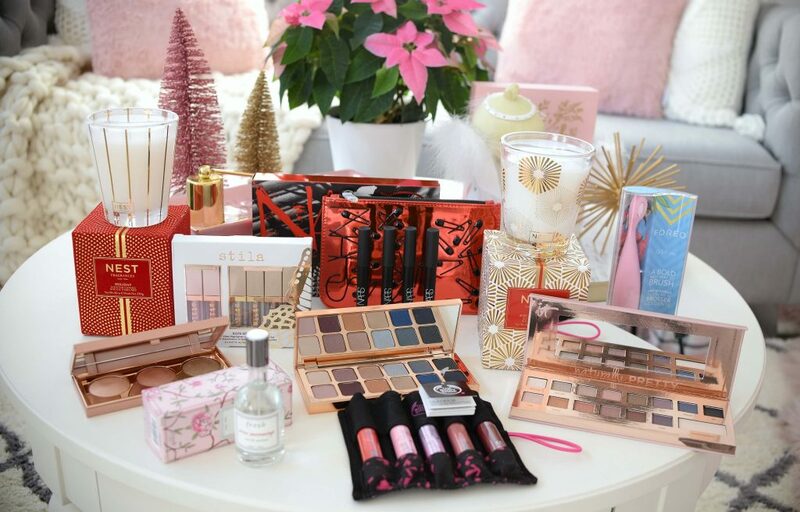 When it comes to holiday gifts, spending under $50 will guarantee you get an amazing beauty present, just take a peek at my latest holiday gift guides for under $10, $25 and $50. If you have some extra cash to throw around, or are feeling extra generous this season, there’s a ton of beauty gifts that are sure to impress your friends. Brands offer up so many fabulous gift sets, that not only save you money, but are real showstoppers. 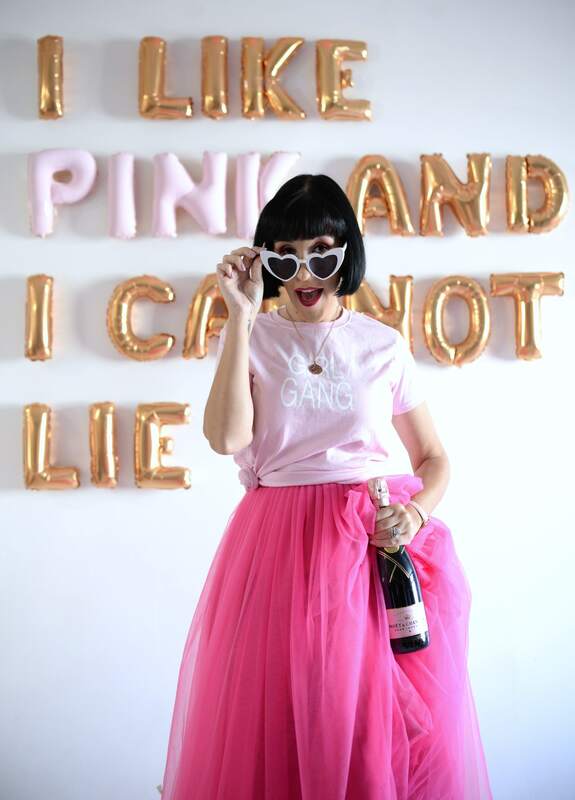 Toady on the blog I’m featuring 9 fabulous gift ideas that will ring in just under $75. From eyeshadow palettes, to lipsticks, perfumes and highlights, this list contains this-season’s hottest makeup and beauty trends. I think it’s safe to say we all have friends who, although have no problem skipping a foundation or lipstick, but when it comes to makeup, they can’t leave the house without a trendy cut-crease, smoky or cat-eye. Most eyeshadow obsessed friends, myself included, can never have too many palettes in her collection. 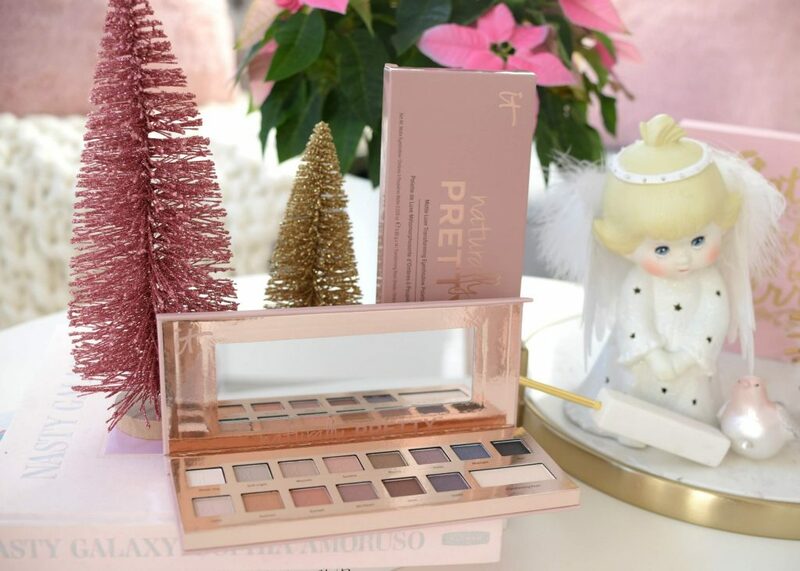 The IT Cosmetics Naturally Pretty Matte Luxe Transforming Eyeshadow Palette features 14 of this-season’s hottest shades in both matte, satin and radiant pearl finishes. Its universally flattering hues work well on all skin tones, and can easily transition from day to night, work to play. 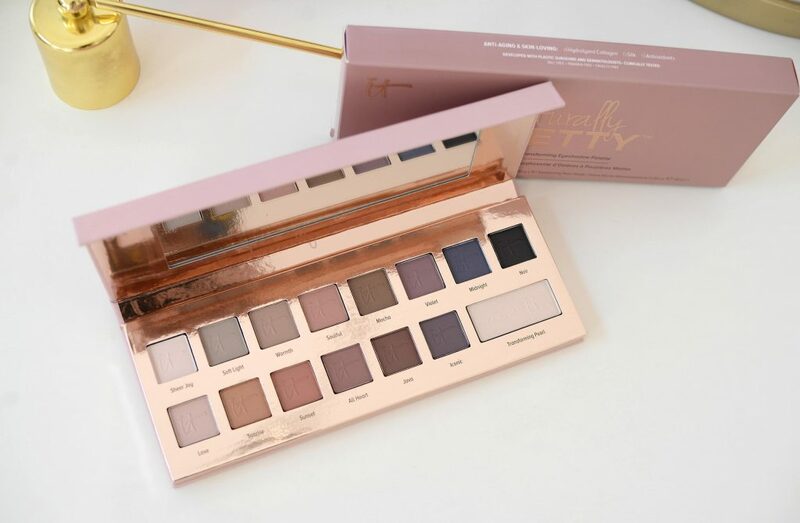 This extremely versatile palette is perfect for any occasion, event or party, and thanks to its unique transforming pearl shade, it can transform any matte shade into a stunning pearly finish. Have fun mixing and matching the shades to create your own unique and customizable colour combination. It retails for $55. From tinsel garlands to twinkling lights, sparkle is everywhere during the holiday season. 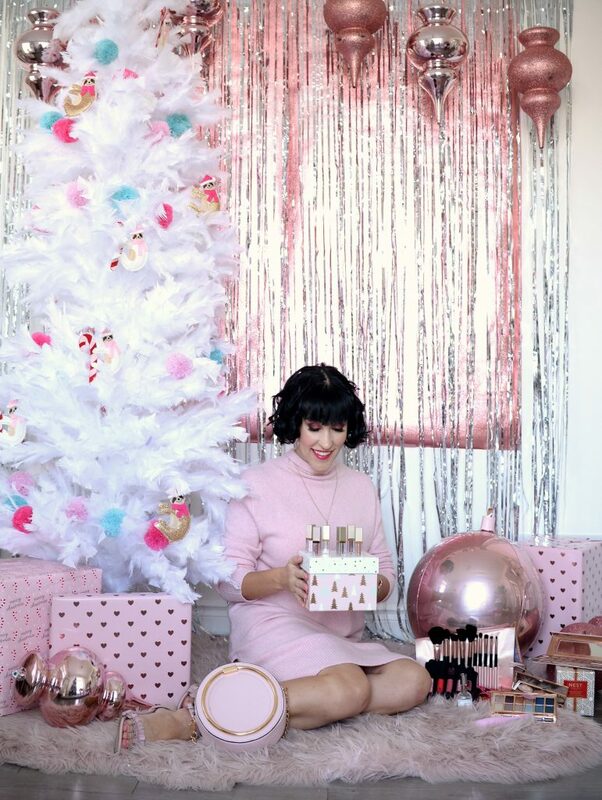 Holiday parties are the perfect excuse to breakout all the shiny things, including glitter makeup. The key to looking enviable cool this month, without looking like a disco ball, is to pick one area of the face and make that the focal point. Unlike traditional glitter makeup, the Stila Glitter & Glows are surprisingly easy to work with. It combines the perfect mix of pearl and glitter to create a stunning luster and shimmer to the eye or cheekbones, without large chunks of glitter falling all over the place. 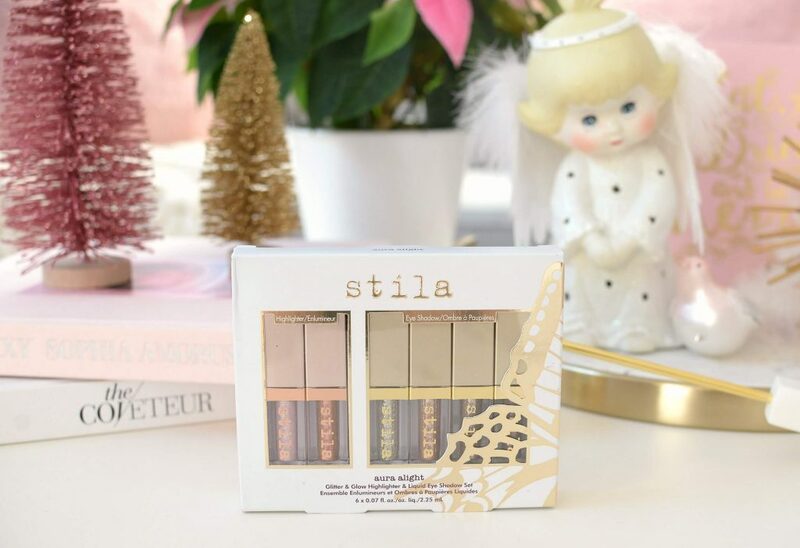 The Stila Aura Alight Glitter & Glow Highlighter and Liquid Eyeshadow Set features 4 mini-size of the brand’s iconic liquid eyeshadows, alongside 2 mini highlighters. It’s the perfect way to add a pop of sparkle or enhance a look without full-on shimmer and shine. These wearable glittery shadows instantly create at real-life “wow” factor. It retails for $59. When it comes to treating the ladies on your list, diamonds might be a girl’s best friend, but in recent reports, it reveals that lipsticks are on the top of the females’ list and the perfect present. 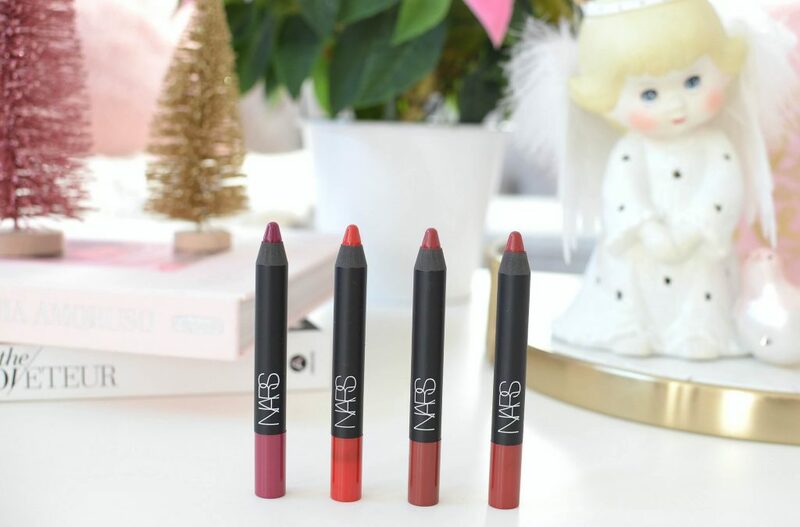 The Nars Riot Velvet Matte Lip Pencil set features one of the brand’s most iconic lipstick formulas. It comes with 4 full-size limited-edition Velvet Matte Lip Pencils. It’s a rich and creamy lip crayon that has the pigmentation of a liquid lipstick with the wearable texture of a balm. Its velvety smooth formula melts into the lips and provides an opaque colour payoff in one swipe. Its lightweight texture is comfortable to wear the entire day and its silky-smooth consistency never feels tight or dry. Because of the precise tip, you have total control over and its crayon-type design allows you to shape your lips with the tip and fill them in with the slightly flatter side. The set retails for $62. 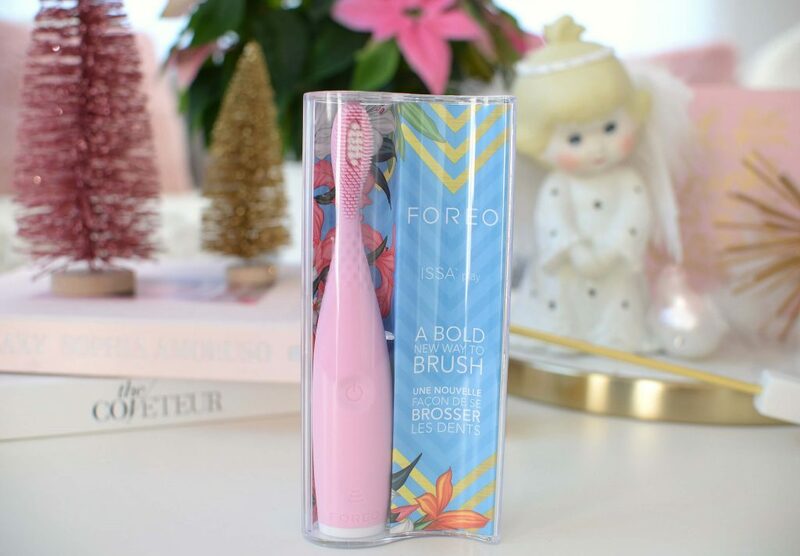 The future of oral care is here with Foreo ISSA Play Toothbrush. Give the gift of a perfect smile and make your friends’ night and morning routine a little easier and more effective with this little device. Unlike a traditional bristled toothbrush, that are harsh and can actually damage your teeth, this innovated device uses high-intensity pulsation. The pulsation is channeled through soft silicone bristles, that do not harm, damage or scratch your teeth or gums, just a deep down clean. 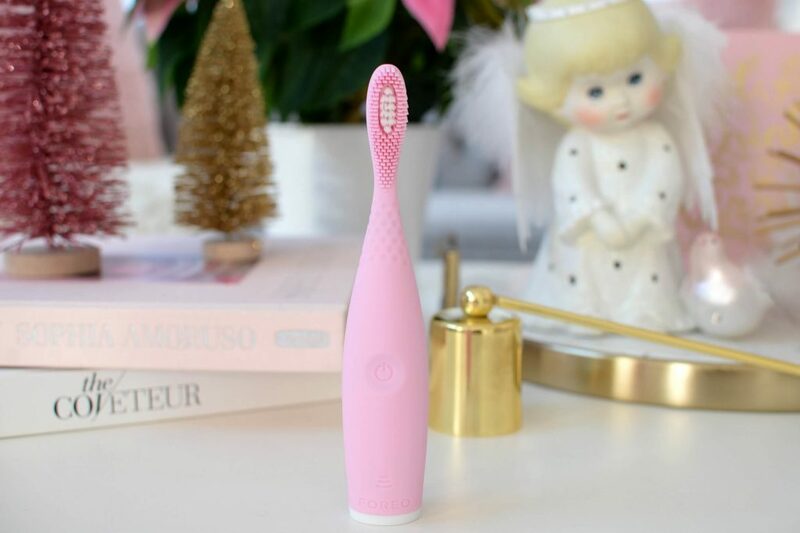 The soft silicone bristles on the brush, help to generate the ideal amount of friction, to effectively remove stains and plaque buildup. It still remains gentle on tooth enamel and helps prevent future gum recession. It’s a bold new way to brush your teeth, and your friends are going to love it. It retails for $59, which can be found at Shoppers Drug Mart. I have to admit, perfumes are a hard gift to pick for someone. Everyone’s nose is so different, and we’re all drawn to different aromas. That being said, the new Fresh Rose Morning perfume is such a lovely fresh and velvety floral fragrance, that I’m sure everyone will enjoy. It features top notes of rose petal, violet leaf and black currant, middle notes of Bulgarian rose, peach flower and freesia, and bottom notes of white tea, velvet musk and warm amber. It’s such a refreshing scent with a modern-day twist on a classic rose perfume. It’s the perfect balance between floral, musk and fruity. It retails for $70. For the ladies who like to have a little fun with their lipsticks, why not treat them to The Body Shop Lip Liquid Parade Set. 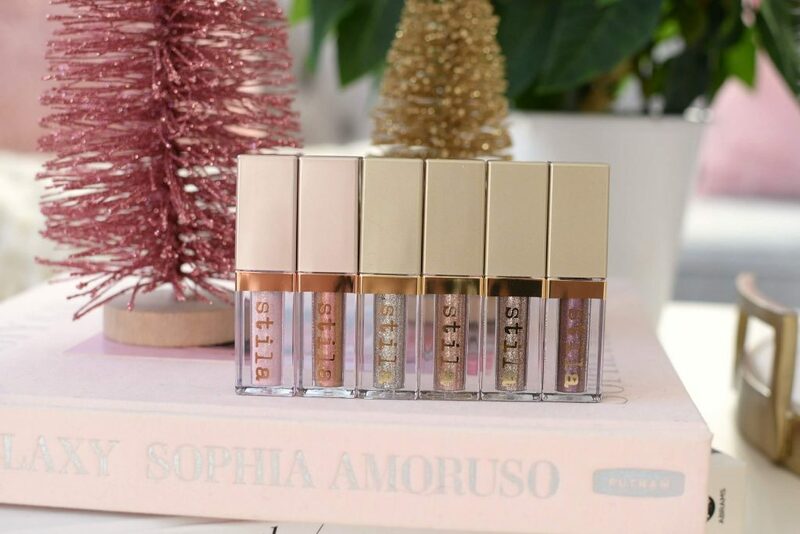 Not only does it feature 3 creamy matte liquid lipsticks, it also contains 2 new shine lip liquids that can be paired over the mattes for a fun shimmer effect. It already comes beautifully packaged in a roll-up fabric case that’s ideal for storage when not in use and perfect for travel. Have fun customizing your lipstick look by mixing and matching the shade and then having fun with the top coats. The lip shines look equally as beautifully on their own, when you’re just looking for a little extra glitz and glam this holiday season. It retails for $50. 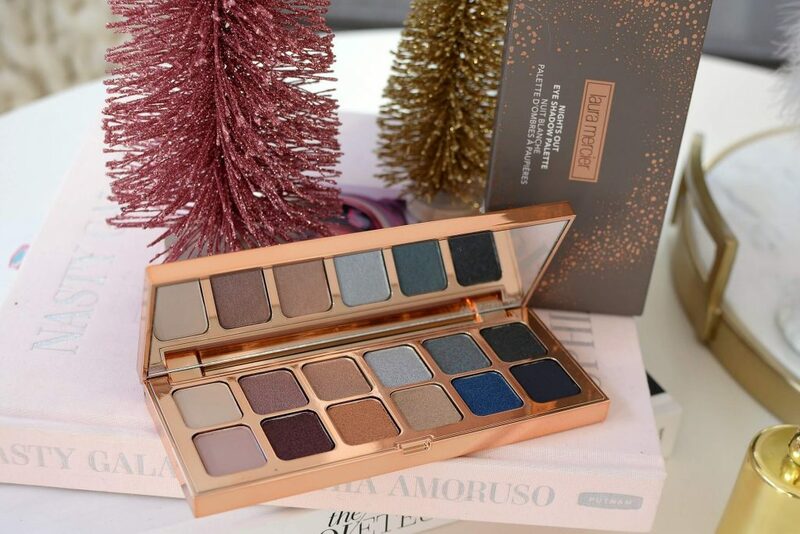 Since the festive party season is upon us, there’s no better time to treat your loved ones to a new eyeshadow palette. If you’re looking for an eye-catching palette that will take them from dusk to dawn, look no further than the new Laura Mercier Nights Out Eye Shadow Palette. 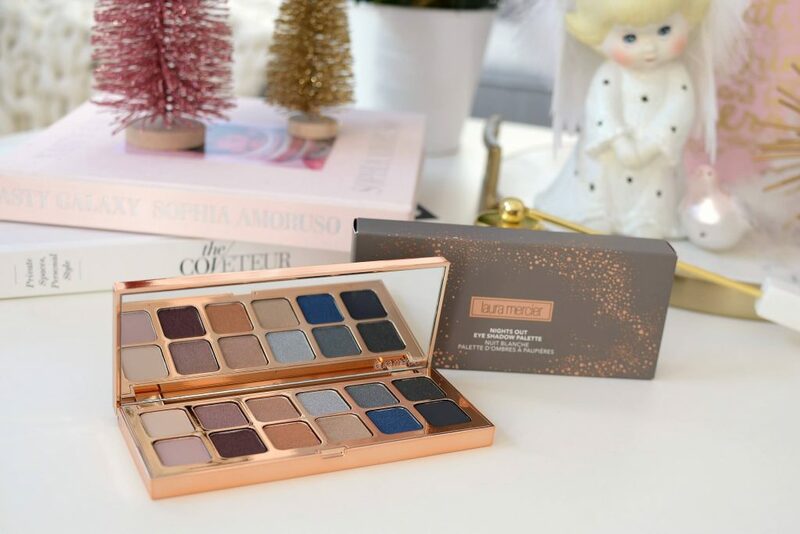 Instead of messy single shadows, that tend to get forgotten about, this palette pulls all your favourite, wearable shades in one easy-to-manage compact. It offers up 12 gorgeous light, medium and dark hues in both cool and warm tones. It contains a wide variety of both useable shades, along with a few bold, daring and trendy colours. It includes several base colours, dark shades for deepening up the look or used as a liner, along with a few fun pops of colour. It has excellent colour pay-off, strong pigmentation which can be layered and built up for more intensity, along with blendable and long-lasting staying power. It retails for $65. 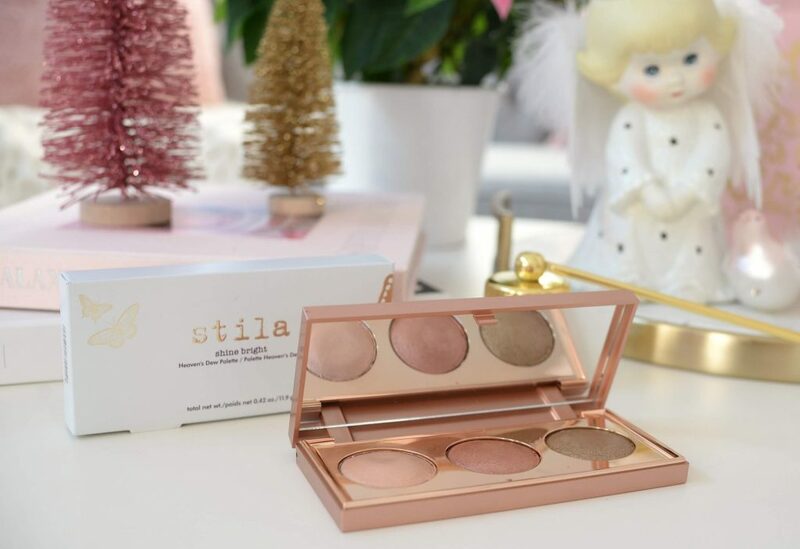 Give the gift of radiant skin this holiday season with the Stila Shine Bright Heaven’s Dew All Over Glimmer Palette. It features 3 of the brand’s iconic Heaven’s Dew all-over, a glossy highlight that has a unique and innovated bouncy texture. It’s a hybrid between a cream and powder, with a translucent base that helps the light illuminate the pearlescent shimmer and micro-fine glitters within. It instantly helps to create a super lustrous, almost blinding and glistening effect on the skin. 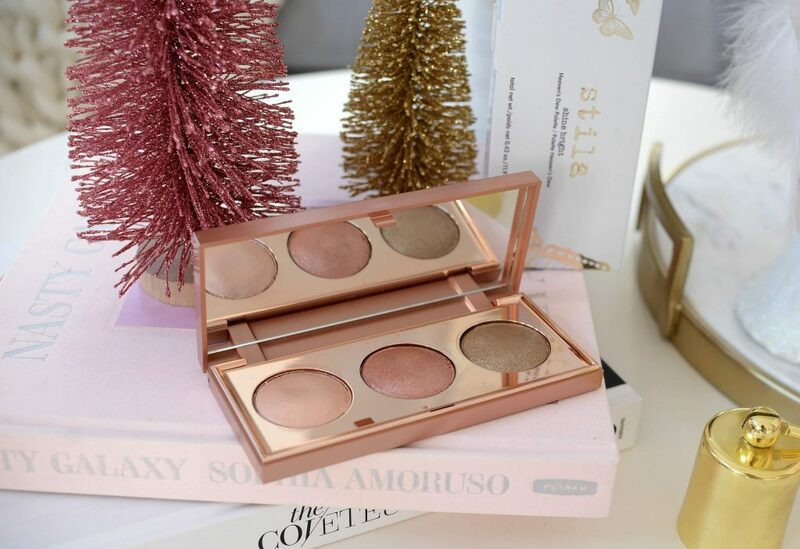 Whether you decide to highlight your complexion, brow bone or inner corner of your eye, these buildable illuminators can achieve both a soft wearable look or a bold playful shimmery effect. Have fun layering them together for a custom look, pair them over your favourite highlight for an instant wet-effect or use them individually on their own. Either way, it’s sure to amp up your look and create a beautiful sheen on the skin. It retails for $59. I don’t think I’ve met a person who doesn’t enjoy a delicious smelling candle. 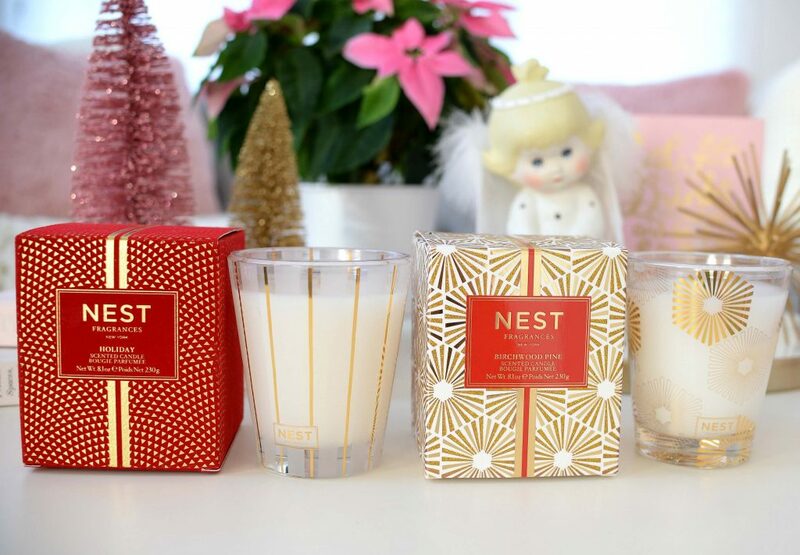 Nest is a luxury scented candle brand that instantly enhances your everyday living and entertaining experience. The brand’s Holiday scent is a personal favourite of mine, as it captures the aromas of the holidays. It features pomegranate, mandarin orange, pine, cloves, and cinnamon with just a hint of vanilla and amber. Birchwood Pine on the other hand will leave your house smelling like a winter forest. It features white pine, fir balsam, and birchwood over a base of rich musk and amber. 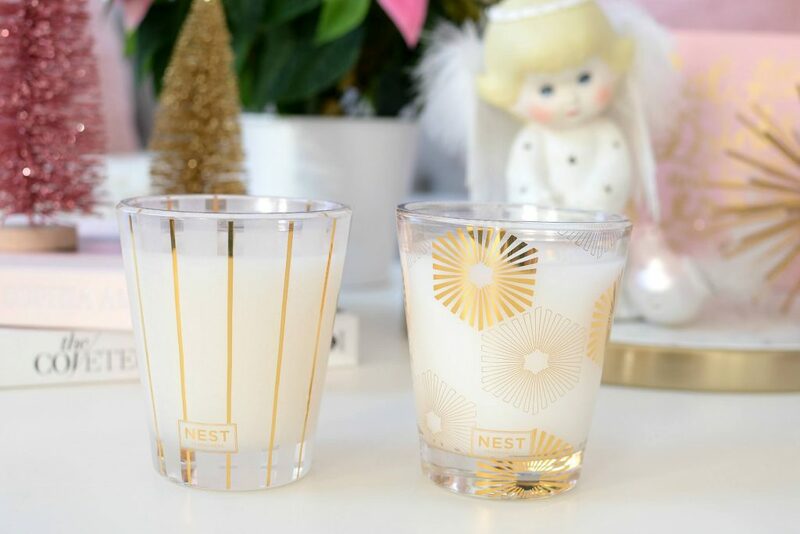 Both are perfect for the winter and holiday season and would make the perfect hostess gift this year. Each retail for $56.